In 2012, McCoy accepted a position at Thomas Jefferson School of Law as the director of the Lawyer Incubator Program and solo practice concentration. During her first year at TJSL, McCoy launched the Center for Solo Practitioners, a post-graduate program which helps alumni as they establish their own law firms. The program, which has received national recognition in its inaugural year, also encourages new solo practitioners to become leaders in their community by developing ways to reach traditionally underserved populations. McCoy was also appointed as the TJSL Trial Team Supervisor and co-coached the trial team to the Texas Young Lawyers Association Region 14 Championship, and to National Trial Competition semifinalist honors. Prior to joining Thomas Jefferson School of Law, McCoy was a civil litigator. She tried jury trials and bench trials and represented clients in judicial arbitrations, contractual arbitrations and mediation hearings. From 1999 until 2012, McCoy dedicated her practice to representing plaintiffs consumer protection cases, including automobile fraud, Fair Debt Collection Practices Act cases and Fair Credit Reporting Act cases. She also represented consumers in class claims against large consumer finance companies and debt collectors. McCoy served as president of Lawyers Club of San Diego from 2002-2003 and as chair of the Lawyers Club Judicial Endorsements Committee from 2003-05. In 2007, McCoy received the Belva Lockwood Award from Lawyers Club. McCoy served as co-president of the Tom Homann Law Association from 2005-07 and received that organization’s 2008 Co-President’s Award. She served as chair of the Conference of California Bar Association from 2009 to 2010. McCoy was a workshop leader in the San Diego Inn of Court College of Trial Advocacy and currently serves as a board member on the San Diego Inn of Court board of directors. 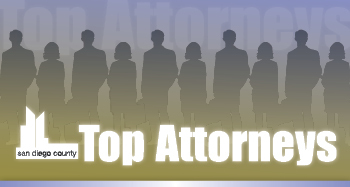 McCoy was selected as a Top attorney by The Daily Transcript in 2006, and was selected for San Diego Super Lawyers in 2007 and 2009. McCoy has spoken on consumer protection issues to community and legal organizations including Pan Asian Lawyers of San Diego, the Camp Pendleton Legal Assistance Office, and the Southwest Navy Legal Service Office. In 2004 and 2005, McCoy helped coordinate the consumer law segment for the San Diego Superior Court, North County Division, Youth-Day-in-Court program. She currently volunteers with the United States Bankruptcy Court, Southern District of California, CARE Program, which exists to provide education on consumer issues to schools and other community organizations. From 2010 to 2012, McCoy served as an instructor of civil litigation, evidence law, and business law at the U.C. San Diego Extension Paralegal Program. McCoy has an AV Preeminent rating from Martindale-Hubbell. A native San Diegan, McCoy is married with two children.